Address: 601 Morris St., Charleston, W.V. All that stuff we just said about mountain communin'? 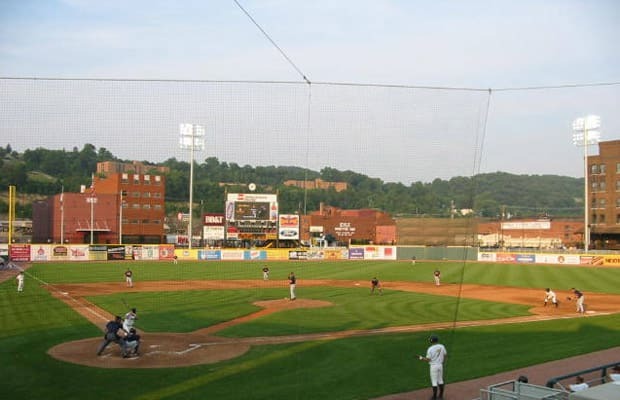 Well, Appalachian Power Park is McCormick Field's much younger, prettier sister, albeit with a man in the front row tossing toast after every opponent strikeout. Alrite, so the parks aren't really that similar (except for the mountain part), but APP is a treat nonetheless: a train runs adjacent to the outfield wall, and it's in Charleston (duh), which is an all-around great place to be in the summer.